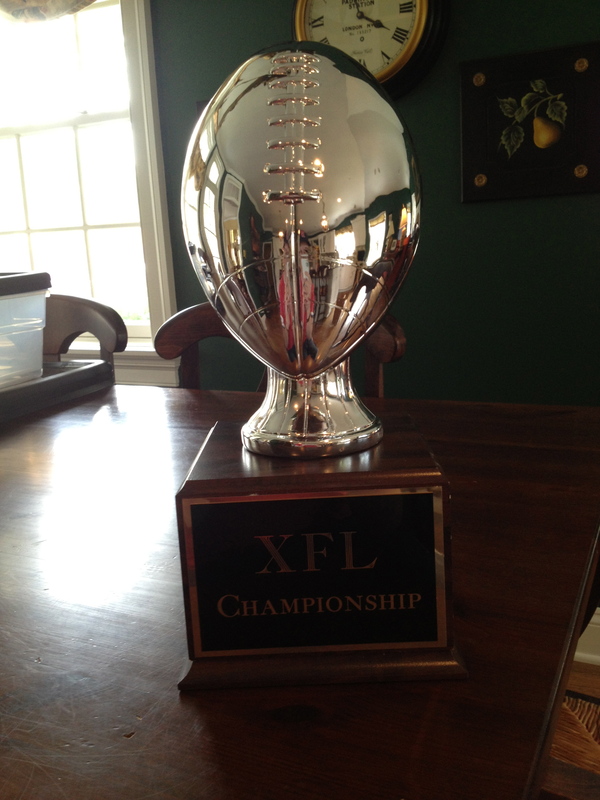 In seasons past of the XFL there would be a clear disparity by now. There would be the people that were clearly the best in the league and then the people who were looking forward to next year. It would be a race between a few horses but not many. In 2014 that couldn’t be further from the case. This year you could make a case that fourteen teams are still alive in the chase for the title. There are only sixteen teams in the league meaning the two at the bottom – New Orleans and New York – are all but out of playoff contention unless they go a perfect 6-0 to close the season. Oddly, New Orleans and New York are also the last two league champions. Interesting how things can change on a dime. In reality the teams this year have the potential to beat each other every matchup. Logic would dictate to bet heavily on the title coming home to Minnesota or Seattle for the first time this year as they are tied for first at 6-1. This isn’t a bad idea, as they are both in the top three for highest scoring teams. But don’t overlook Oklahoma City who is suddenly surging into the third seed. Then we have seen upset after upset this season. Last week the 3-4 Philadelphia Panthers lost to the 3-4 Las Vegas High Rollers who, due to unexpected circumstances, did not start a quarterback or tight end. Cary’s Washington team beat a solid Denver squad that had Peyton Manning drop 570. The adage of “Any Given Sunday” is alive and well here. We are also past the trade deadline now so teams will have to look to the barren wasteland that is the free agency page to make any injury fixes. Severe injuries have hamstrung teams like the previously dominant Houston who quickly saw depth evaporate. Now there is room to surge for others. This is all going to come down to matchups down the wire. Who plays who. Which guys get to go against the Jaguars defense. Which QBs get to torch awful secondaries. Who gets killed by bye weeks in critical games. All of this will help narrow the field of 14 to the 8 that will continue their seasons with title hopes. At this point there’s no sense in trying to shoot for a title. All you can hope for is to make it into the final bracket and then it’s entirely up for grabs. These few weeks project to be potentially the most entertaining in league history before an absolutely insane playoff. Get your popcorn ready – we have no idea what comes next.